Exploring the early phase of Steven Spielberg’s career has shown just how much he’s evolved since the 1970s. His 27 feature films include the expected blockbusters and prestige pictures along with some interesting detours into passion projects. Duel and The Sugarland Express have a much different feeling than his breakout movies yet already revealed his technical expertise behind the camera. When deciding on my Spielberg favorites, there was no way to narrow the list to five films. Even making 10 choices was a challenge, and this list has several omissions that are excellent options. While the placements for several Oscar contenders may be surprising, they work for my preferences because I’m not looking to watch them again in the near future. I could easily sit down with the top choices at any point and not check my watch. Those favorites provide great entertainment and never feel like they’re pandering to the audience. That’s a tricky balance that shows why Spielberg deserves attention as one of our top current directors. This last spot was the most difficult to fill because the possibilities were so different. My choice is one of Spielberg’s most ambitious films. A.I. confounds many viewers by combining a hard-edged look at the future with a child’s search for his mother. There are a few slip ups along the way, but the scale and excitement of this world overcomes those hurdles. We rarely see this type of movie that shoots for the stars thematically and with its effects. 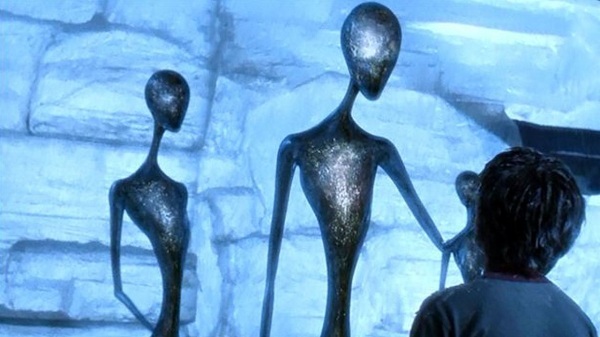 Stanley Kubrick originally worked with Spielberg on this project, and the combination of their different sensibilities makes for a surprising and original movie. This up-close depiction of the horrors of war is clearly a passion project for Spielberg, and his commitment delivers some remarkable sequences. The opening battle at Omaha Beach is one of the most ambitious war scenes ever put on film and throws us right into the heart of the conflict. When the pace slows down and the main story begins, we’re still on board with the characters. Nothing can match the energy of the first act, but there’s still plenty to like in the rest of the movie. The actors stay down to Earth and seem to understand the overall setting is more important than their characters. Tom Hanks, Barry Pepper, Adam Goldberg, and Jeremy Davies stand out in memorable roles. Spielberg’s most acclaimed film is easily his stunning 1993 look at the Holocaust and its many horrors. The black-and-white cinematography brings a reverence to the material and avoids making it too dramatic. With a few notable exceptions, the camera sits back and lets us get sucked into the action. Liam Neeson is sharp in a tricky role of a guy who’s more of a businessman than a heroic savior until the end. This was also the breakthrough performance for Ralph Fiennes as the heartless Amon Goeth. This three-hour epic isn’t a movie that I revisit often, but it’s still quite a filmmaking achievement. This is one of the most purely entertaining movies in Spielberg’s career and nearly rivals his success in Raiders of the Lost Ark. Sean Connery and Harrison Ford have such great chemistry, and the comedy between them never feels forced. Their bond seems effortless, which is saying a lot when you consider the star power of both individuals. The search for the Holy Grail is basically a retread of the pursuit of the Ark, but it’s so much fun that we barely notice. Although Spielberg returned to the character one more time, I prefer to believe the series ended on just the right note with this movie. I watched E.T. for the first time in a long while last year, and it was surprising to remember just how great it is. It’s the kind of movie that could be dismissed as just for kids but remains enchanting for adults. Spielberg does an excellent job presenting the world from a child’s point of view and doesn’t bring the grown-ups into the mix until the final act. The undercurrent of the damage caused by the family’s recent divorce hangs over the entire story. Despite the sci-fi premise, this timeless film remains firmly grounded in reality. It’s refreshing to even see a government agent who isn’t the stern bureaucrat you might expect. Spielberg delivers an affecting and refreshing movie that still hits the mark today. Spielberg followed his breakout success in Jaws by delivering this subtle and intriguing story about aliens landing on Earth. It’s more of a personal story about Roy Neary (Richard Dreyfuss) and his unflinching pull to discover the truth. He’s so drawn to this place that he leaves his family and sets out for the landing site at Devil’s Tower. Spielberg wrote and directed this film and uses a deliberate pace to build our expectations towards the surprising climax. Although it lacks the firepower of his biggest effects pictures, Close Encounters rewards on repeat viewings and keeps you thinking about for a long time. I remember the anticipation while waiting in a long line at my local theater. We ended up stuck in the front row, which made for a pretty hairy experience when the T-Rex arrived. 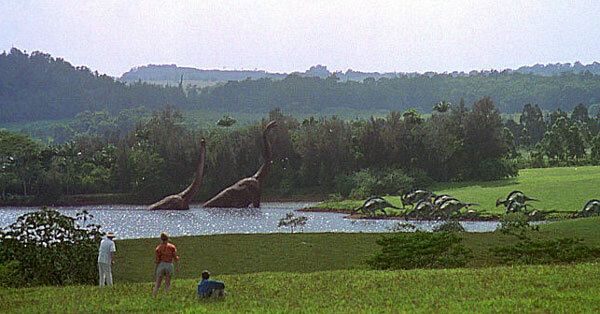 Jurassic Park has lost none of its luster today, which says a lot about its impressive effects. The reason for this timelessness is the classic three-act structure. We receive all the necessary exposition up front, all hell breaks loose, and then the characters do their best to survive. Unlike the bloated follow-up, this movie flows smoothly through both the build-up and the action. Sam Neill and Jeff Goldblum play well off each other, and even the kids aren’t so bad. This remains one of the great adventure films of the past few decades. One of the great sci-fi thrillers of all time, Minority Report combines an intriguing story with great action to deliver a stunning experience. Spielberg takes the “innocent man on the run” theme used so well by Hitchcock and wraps it in a sci-fi premise. The screenplay from Scott Frank and Jon Cohen never lets him down, and Tom Cruise is at his best as the everyman trying to survive. There are several incredibly tense sequences, and the world feels real even during the high-flying chase scenes. This thrilling movie hits on every level and provides great entertainment while engaging our mind at the same time. 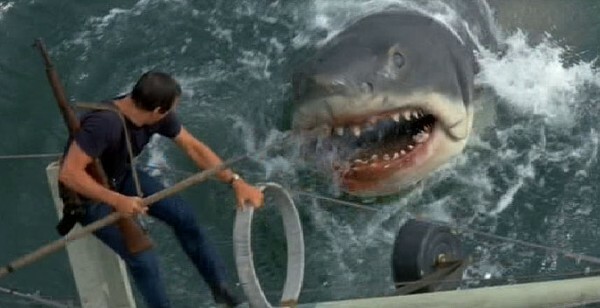 Spielberg’s first hit succeeds because it’s about much more than the Great White shark. It's the classic tale of man versus beast with an unlikely trio facing their fears in the open water. 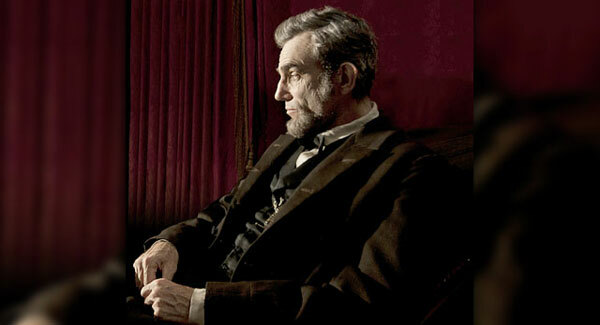 The technical problems are well-documented and show how limitations often deliver the greatest filmmaking achievements. There have been countless movies with huge budgets that couldn’t deliver an ounce of the thrills in this film. The creative failure of the sequels and many knock-offs just reveals the achievements of this first true blockbuster. What more can be said about Raiders? It’s a classic adventure yet never feels like it’s stealing from the old-school serials. It’s pure joy from start to finish and includes so many exciting sequences. The truck chase would be enough to carry most films, yet that’s just one of the great examples. 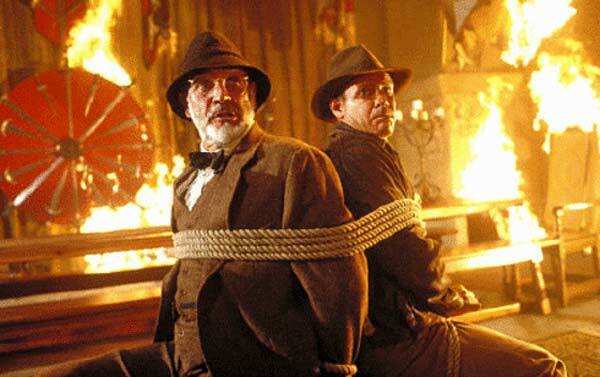 Harrison Ford is perfectly cast as Indiana Jones and makes the part seem effortless. Few actors have even one character on this level; he’s done it twice! The humor feels natural in Indy’s world, and John Williams’ score keeps the energy rolling without becoming intrusive. This is one of the most re-watchable movies ever made because it’s so packed with gags and thrills. Lawrence Kasdan’s script is witty and smooth, and Spielberg rarely takes a breath as he sends us headlong into the adventure. I'd love to hear your thoughts about this Top 10 list. Should I have placed his prestige films much higher in the rankings? 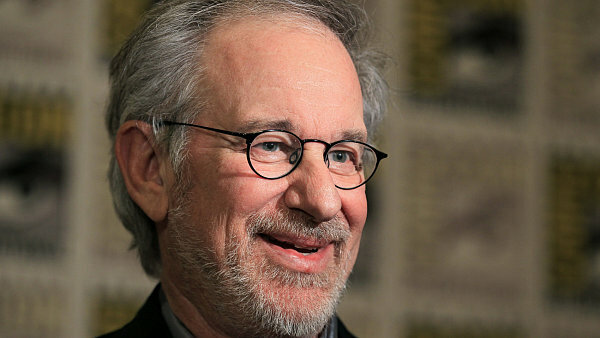 What are your favorite Spielberg movies? You should also check out my past Top 5 Lists if you've missed them. Great piece Dan. Such a difficult list to make! In my own list I probably wouldn't have Minority Report quite as high but I also have some pretty huge blind spots when it comes to Spielberg, namely Schindler's List and Close Encounters. Can't believe I still haven't seen those! Thanks Chris! It was a very tough one, even with 10 choices. You should definitely check out Close Encounters and Schindler's when you get a chance. They're both great, for entirely different reasons. Schindler's length and subject probably make it seem daunting, but it's worth it. I figure that Minority Report is the one that might get some objections, but it really worked for me. I have often wondered how difficult it will be make this list? I am not the biggest fan of all his movies but even then there are remarkably many to choose from and quite a few of them are legendary. I was never a big fan of A.I. or Indiana Jones, though I have only seen Raiders. Apart from that however, I think our lists will be remarkably similar but with rearranging the rankings. SPR and Schindler's List will be my top 2. Really glad to say Minority Report so high. It really worked for me as well. I'm a bit surprised that Raiders didn't work for you, but it makes sense when you list your favorites. Did you see it as a kid? I think that also makes a difference. Glad to hear that you're also a fan of Minority Report. First and only time I have seen Raiders was a little over a year ago. So, No. It's possible that it didn't make a difference, but I do think that movies that many loved when they came out (or a few years later in my case) will play so different now, especially if they've been built up so high. I had a feeling this might be the case. 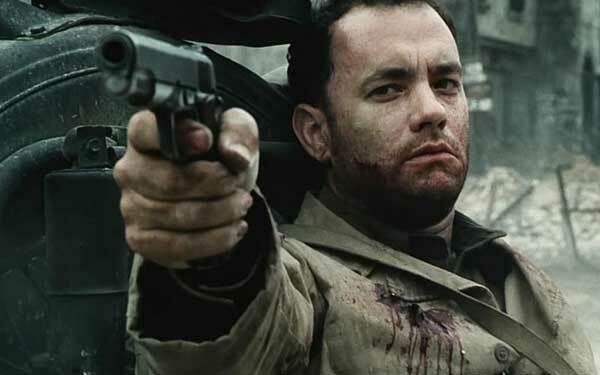 I'm just happy that Schindler's List didn't win, as expected, but I'm kind of meh on Saving Private Ryan making it, since I kind of hate that movie. I would have A.I., E.T. and Jaws as my top three (E.T. being my #1). This would be a hard list to make though. Spielberg is not a director I adore. he has some surefire hits, but also some real low points for me. I prefer him to have fun. Love the Minority Report mention! In most cases, I also have the most admiration for Spielberg's straight-up entertainment movies. Those are the ones that I return to the most. He accomplished a lot with SPR and SL, but they fall a bit short of my favorites. I definitely will check out that Filmspottong Forum discussion soon. War Horse is one of the few that I haven't caught yet. I've heard a wide range of reactions. Catch Me if You Can is underrated. I'm really pleased to see Close Encounters on this list--it's one I tend to forget about until someone reminds me of it. I'm also really happy to see War Horse didn't even make the "also-ran" list. Steve, I actually haven't seen War Horse, though I'd be really surprised if it made it. I just couldn't get enthused about it after the trailers. 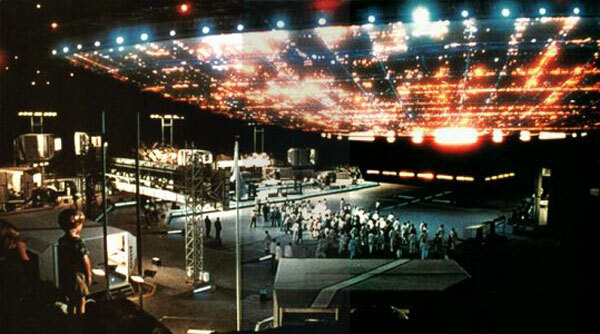 I also sometimes forget about Close Encounters, and I was really surprised to remember how great it is the last time I saw it. I agree that Catch Me If You Can is very good. Leo's performance was on my list of his best roles. Would have A.I further up (I think this will come to be regarded as a Spielberg masterpiece in years to come), but otherwise a great list. He's a legend isn't he? I've always really liked War of the Worlds, although I appear to be in the minority on that one. It's great to hear that you're such a fan of A.I. While it was pretty far down the list, I still think it's a very strong achievement for Spielberg. War of the Worlds is an entertaining movie and good fun; it would fall just below the movies that I listed and nearly made the also-rans list. Great list, Dan. Can't argue with any of these picks. Also, I love that you included A.I., Close Encounters, and Minority Report, as those films are often not associated with his best work. Thanks Josh! I know there are a lot of fans of both A.I. and Minority Report in particular, but I thought they might get some disagreement. Thus far, most seem to agree. Awesome list! I think I'd put Jurassic Park, Schindler's List, Minority Report in my top five but I know The Last Crusade would top my list. LOVE, LOVE that movie. Thanks Ruth! You can't go wrong with Last Crusade. It's so much fun. I would put it behind Raiders for me, but it's a very slight drop-off. Both are excellent choices. I've only seen his more commercial, action movies (ET, Jurassic) and The Color Purple (which I love). I should be stoned for such a major oversight seeing how prolific he is. It always seems like he's attached to ever movie lol, either as a producer or director. 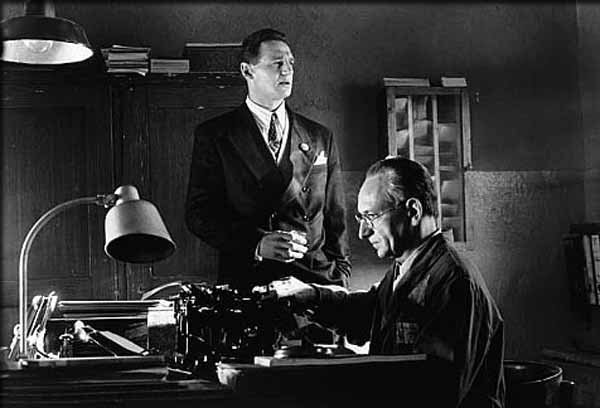 Schindler's List will be my next foray into his filmography. I think there are some movies that you don't need to run out to see. I'd definitely suggest any on this list if you haven't seen them. Schindler's is worth checking out for sure. I'm surprised that Raiders is your favorite btw. I didn't like it. It's tough for me to think of people not liking Raiders. I watched it a lot as a kid on a VHS dub, and it still really works for me. However, I don't expect that anything is everyone's cup of tea. Have you seen any of the other Indy films? Great list here. E.T. 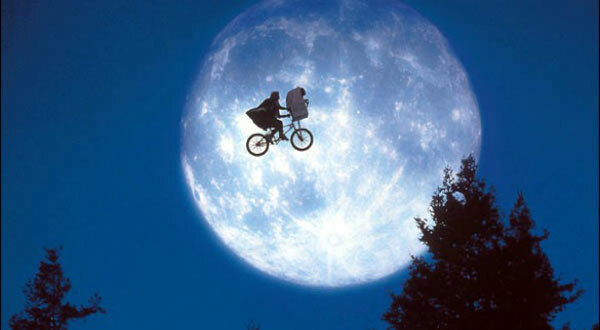 will always be my favorite Spielberg flick. I recently rewatched it and was completely transported. It takes me away, all the time, every time. Alex, when I watched E.T. again last year, I was really surprised by how well it worked. I didn't expect it to resonate so strongly for me as an adult, but I liked it more than I did as a kid. I'm glad to hear that you're also a fan. Thanks! This list really makes me want to rewatch a couple of them, especially Jurassic Park as I don't think I've seen it anymore after it was released. Nostra, I definitely had a similar reaction when thinking about these movies. I did re-watch Jurassic Park for the first time in a very long while last year for a podcast, and it holds up surprisingly well. The Lost World isn't so lucky.